No matter what the state-party leaders of China say about building a "socialism with Chinese characteristics" in the country, it is a capitalist country. At the same time, undoubtedly, capitalism in the Middle Kingdom has a great "Chinese specificity." First of all, it is characterized by powerful positions of the state in such spheres as economics, politics and ideology. But at the same time, Chinese capitalism has common features with Western capitalism. Let us recall the work of Vladimir Lenin "Imperialism, as the highest stage of capitalism" (1916), in which it was stated that at the turn of the 19th and 20th centuries, There was an overgrowth of European and American capitalism in its highest stage - monopoly capitalism, and also imperialism. Lenin distinguished five economic signs of the then imperialism: 1) the concentration and centralization of capital reaches a point where the formation of monopolies occurs; 2) the merging of banking and industrial capital and the formation on this basis of financial capital; 3) the export of capital becomes predominant in comparison with the export of goods; 4) the economic division of the world between the monopoly unions of different countries is coming to an end; 5) the territorial division of the world is completed, the struggle for its territorial redistribution begins. If you look closely at modern China, you can notice a clearly pronounced tendency towards imperialist expansion. At the beginning of the last century, there was a struggle for economic and territorial division and redivision of the world between such capitalist centers as Britain, France, Germany, the United States and, in part, Japan, with the first two countries representing the older capitalism and the last three relatively young. In today's world, the main centers of inter-imperialist struggle have become the United States and China. Of course, American capitalism is much younger than European capitalism, but against the background of Chinese capitalism it already looks relatively old. So, before our eyes, the battle between the old American and young Chinese capitalisms is unfolding. The old American, losing its former economic power, is increasingly focusing on force-military methods, the young and dynamically developing Chinese economy. Among economic methods in the arsenal of Beijing, a geopolitical and geo-economic project called "One belt - one road" (OBOR) occupies a special place. This project is designed to make China a superpower, controlling by economic methods most of the world. The essence of the project is to create a powerful transport and logistics infrastructure, piercing the planet. Such infrastructure should become a channel for promoting Chinese goods, ideas and culture and unite all countries adjacent to transport routes. Along the transport routes, construction of warehouses, power stations, mines, oil refineries, industrial parks are expected. In the opposite direction, raw materials, energy resources, various industrial goods must move to China. The project parameters (OBOR) are not yet clearly defined, but it is already clear that this will be the most capital-intensive project of the 21st century. The Chinese media provide estimates of possible investments - from $ 4 to $ 8 trillion. The project's initiators expect that many dozens of countries with a population of 60% of the world's population will participate in OBOR. Outside the project will remain only the countries of the Old and New World. Already by now, according to Chinese sources, the investments of the Middle Kingdom in the project exceeded $ 300 billion. The routes of various modes of transport (sea, rail, road, pipeline) must be laid in such a way as to make the commodity flows minimally vulnerable to possible intervention by the countries of old capitalism and to wrest the largest number of countries from the sphere of influence of the old capitalism. Most of these countries are called "developing." Chinese leaders argue that the OBOR project is a well-forgotten past. Like, two centuries before Christ, there already existed the Great Silk Road, according to which China supplied its goods to the Middle East and Europe. Beijing emphasizes the fact that participation in the project by other countries is a purely voluntary matter, and that it is conceived as mutually beneficial. How is it fundamentally different from many other projects offered to third world countries by the West and bearing obvious or hidden signs of imperialism and colonialism (neocolonialism)? The Chinese OBOR project consists of two main components - the land economic belt and the sea Silk Road. The land belt includes six corridors, which will serve as new ways to transport goods from China and to China. For example, a railway from the Chinese city of Yiwu to London, a gas pipeline from the Caspian region to China and a network of high-speed railways to Southeast Asia. The Sea Silk Road is a chain of seaports from the South China Sea to Africa, and further - to South America and, possibly, the Caribbean. By the beginning of spring this year, as reported by Chinese media, agreements on participation in the OBOR project with Beijing have already been signed by 60 states. Despite the fact that Beijing spends a lot of effort and money to promote and promote OBOR, the project has not very positive and pleasant moments for China. Whatever one may say, the Chinese slogans about "mutual cooperation" and "mutual advantage" hiding carefully camouflaged imperialist aspirations of Beijing. Very few countries pay attention to this. Except ... Washington. The United States realized that a serious and dangerous competitor had emerged on the world stage. To understand how seriously Washington worries about Beijing's active activity in the international arena as a financial donor, let us examine some data from the AidData laboratory at the College of Wilhelm and Mary in the United States, which was conducted jointly with specialists from American Harvard and Heidelberg University in Germany. A total of 4300 projects were collected and processed, which received Chinese funding in 140 countries around the world. Two main forms of financing were taken into account: 1) refundable (loans and loans); 2) the so-called "development assistance" (it can act both in the form of non-repayable financing, and in the form of concessional loans and loans). The timeframe for the study is 2000-2014. (15 years). The total amount of financial resources provided by China for the implementation of projects for this period amounted to 350 billion dollars. The scale of financing has been steadily growing for fifteen years. If in 2000 the volume was equal to 2.6 billion dollars, then in 2014 - 37.3 billion dollars. The maximum value was reached in 2009 - 69.6 billion dollars. The volume of funds provided abroad under different conditions by the United States over the same period of time was $ 394.6 billion. Somewhat higher compared to China, but one must bear in mind that the volume of US financial resources did not increase so sharply , as in China. In 2000, the US index was 13.4 billion, and in 2014 - 29.4 billion dollars. In the past four years (2011-2014), China has consistently exceeded the United States in terms of external financing. At the same time, the United States had 92.5% of the total international funding for "development assistance," only 21% of China. China in its external financial expansion successfully combines political and commercial goals. How? It does not furnish the provision of his loans and loans with such stringent conditions as the US and the International Monetary Fund (a set of such terms are commonly called the "Washington Consensus") do. China invests large sums of money in countries that, by Western standards, are considered, if not "outcasts", then "dictatorial", "corrupt", etc. These are countries like Zimbabwe, North Korea, Niger, Angola, Burma, etc. But at the same time, it does not hesitate to penetrate into those parts of the world that Washington has set eyes on. For example, in Central and Eastern Europe. Washington jealously follows the successful advance of Beijing in the world and very clearly records signs of what can be called elements of neocolonialism. Well, that's natural. In Soviet times this was called inter-imperialist contradictions. However, on the subject of American imperialism, many fundamental works have been written. But about the Chinese - almost nothing. One of the latest studies on China's external financial expansion was the review of the American non-profit organization The Center for Global Development (one of the largest brain trusts in the US, established in 2001). The document is called: "Examining the Debt Implications of the Belt and the Road Initiative from a Policy Perspective" - "Investigating the Debt Consequences of the Project" One Belt - One Way "in the Political Perspective." The volumes of loans and loans that China has issued or will soon be issued to the countries that joined the OPOR project are scrupulously calculated. Also, the amounts of individual countries' debts to China in connection with these loans and loans were calculated. The review includes data for 22 countries. At the same time, the authors highlighted eight countries that have already reached the level of debt to China or can reach a dangerous level in the near future. The G8 includes the following countries (in parentheses, the share of the country's debt to China in total external debt in% as of the end of 2016 is given): Djibouti - 82.0; Tajikistan - 53.2; Laos - 48.7; Mongolia - 41.2; Kyrgyzstan - 37.3; Maldives - 27.3; Pakistan - 10.9; Montenegro - 8.3. In the last countries of the list given, it seems that the dependence on China does not look critical. But for now. The authors take into account the agreement on granting loans to countries after 2016. And the picture for the G-8 countries can become quite gloomy. At the end of 2016, the total volume of all the sovereign external debts of the Group of Eight was estimated at $ 84.99 billion. Their sovereign debts to China amounted to $ 17.88 billion (21.0% of their total external sovereign debt). And the amount of China's commitments on new loans to the G-8 countries within OBOR is 53.44 billion dollars. If the countries receive these loans in full, their total debt to China will already amount to 71.32 billion dollars. In relation to the level of the entire external sovereign debt of the G8 at the end of 2016, this is 84%. The authors of the survey comment on these figures as follows: these eight countries risk falling into the Chinese debt trap, from which there will be no exit. In total, 22 countries included in the survey had debt to China at the end of 2016 at a rate of 53.89 billion dollars. China's commitments on new loans to these countries at that time amounted to 87.38 billion dollars. Thus, in the event of issuing promised loans the debt of 22 countries to China will grow to 141.27 billion dollars. 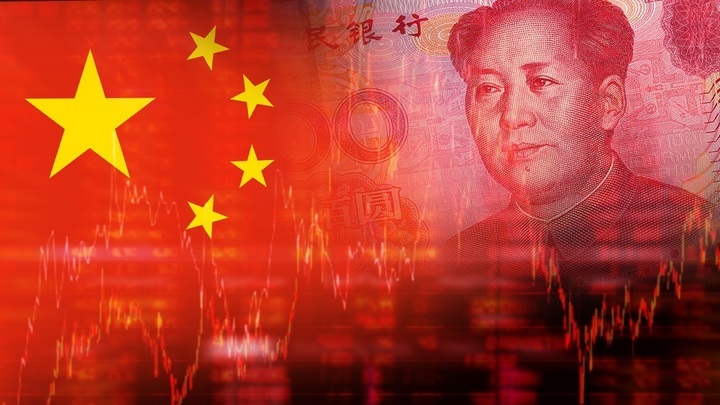 In absolute terms, the following countries had the largest debt to China at the end of 2016 (billion dollars): Ethiopia - 7.31; Iraq - 7.01; Pakistan - 6.33; Egypt - 4.78; Laos - 4.19; Kenya - 4.09; Sri Lanka - 3.85; Cambodia - 3.19. A special place is given to the neighboring Pakistan, which Beijing energetically and successfully pulls out both from financial and political control of Washington. Of all the commitments on new loans and loans ($ 87.94 billion) to Pakistan, the lion's share is 45.5% ($ 40.02 billion). The next for Kenya Kenya accounts for 7.8% (6.88 billion dollars). We will specifically focus on the question of financing by Beijing countries in the post-Soviet space. The review includes the following five countries (in brackets - the volume of debt to China at the end of 2016, billion dollars): Belarus (3.09); Ukraine (1.59); Kyrgyzstan (1.48); Tajikistan (1.20); Armenia (0.34). According to the share of the debt to China in the total amount of the sovereign foreign debt, these countries were ranked as follows (%): Tajikistan - 53.2; Kyrgyzstan - 37.3; Belarus - 17.6; Armenia - 6.9; Ukraine - 3.1. China's total liabilities for new loans and loans to these countries are estimated at $ 13.74 billion. In the distribution for individual countries, this amount is as follows (billion dollars): Kyrgyzstan - 4.57; Belarus - 3.83; Tajikistan - 2.81; Ukraine - 2.48; Armenia - 0.06. In the event that Kyrgyzstan and Tajikistan receive the amounts indicated, they will indeed ultimately fall into the debt trap of Beijing. And for Belarus, the debt to China will be comparable with the debt to the Russian Federation. The so-called "help" of China to countries involved in the implementation of the OBOR project is extremely beneficial to Beijing. Loans and borrowings are of a "related" nature, i. The money received by the countries is spent on the purchase of Chinese goods, services and works. On this project, in particular, some Chinese construction companies have already grown, receiving contracts for work in foreign countries. Seven out of ten of the world's largest construction companies are Chinese. It should also be taken into account that China is gradually tightening the terms for providing money to other countries. The rate from 2.5% rose to 5% per annum. It is already felt that many countries will not be able not only to repay, but also serve Chinese loans. Beijing is not nervous about this: loans are provided by deposits, lands, infrastructure facilities and enterprises built at the expense of Chinese money. It ends with the fact that all strategically important assets will become the property of China. The competitive struggle for redivision of the world between Washington and Beijing is becoming fierce.